With a large team of board-certified plastic surgeons and highly trained nurses, Piedmont Plastic Surgery & Dermatology center provides a variety of revolutionary skincare techniques and cosmetic surgery procedures. Find out more and visit us today! Our Board-certified Boca Raton Plastic Surgeon, Dr. Hilton Becker, performs amazing results in plastic surgery procedures including breast augmentation, scarless breast lifts, breast reconstruction, tummy tuck, liposuction, facelifts, and more. 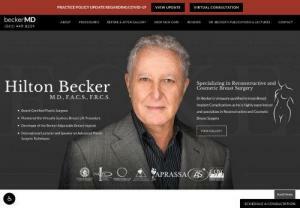 Dr. Remus Repta is a board certified plastic surgeon in Scottsdale, AZ. He is known for delivering one of the best tummy tucks around, as well as other procedures such as body contouring and liposuction. Double board certified New York Facial Plastic Surgeon Dr. Maurice Khosh offers patients excellence in facial cosmetic surgery, facelifts, rhinoplasty (nose job surgery), blepharoplasty (eye lift), sinus surgery, and other cosmetic enhancement procedures. Double board certified Atlanta plastic surgeon, Dr. Mark Mitchell Jones offers patients excellence in facial cosmetic surgery, breast augmentation, liposuction, tummy ticks, mommy makeovers and other cosmetic enhancement procedures. A leading Board certified plastic surgeon located in San Francisco, Dr. Dino Elysassnia provides a spectrum of cosmetic procedures, such as Facelift, Eyelid Surgery, Breast Augmentation, and much more. Visit us today. G. Robert Meger, M.D. P.C. Is an aesthetic and cosmetic surgery office located in Phoenix, AZ that serves both the Phoenix and Scottsdale communities. Our practice was founded by our board-certified plastic surgeon, Dr. G. Robert Meger, who has extensive knowledge in performing cosmetic enhancement and revision procedures for the breast, skin, body, and face. Established by respected Melbourne plastic surgeon Mr Allan Kalus, Avenue Plastic Surgery delivers world-class procedures with peace of mind. Before you consult any doctor for weight loss surgery, you just need to make sure that he or she is a board-certified surgeon. Let us help you to save your time by recommending Batal Interventional. Visit batal interventional for more information. Vein and Laser Center provides first class treatment for varicose veins and hair removal through laser. Located in The Woodlands, Texas, this medical spa and skin treatment center offer solutions to skin problems. Dr. Kevin J. Cross, MD is the head Philadelphia plastic surgeon who oversees Cross Plastic Surgery. He offers popular procedures for facial, breast, body fixes, injectables, chemical peels and more. Schedule a consultation with Dr. Cross today to find out how he can help you. We also specialize in providing in-depth consultation, addressing your expectations to make sure you feel as comfortable as possible. Hands - On courses in Aesthetic medicine. The Educational Resource Center For Health Care Professionals ​ In The Field of Aesthetic Medicine. Address: 12600 Pembroke Road, #306, Miramar, FL 33027 || Phone: 954-870-4420 || Dr. Ramiro Morales is devoted to helping his patients look and feel their very best by providing them with excellent plastic and cosmetic surgery in Miami. 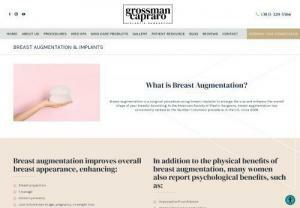 Breast Augmentation Surgery in Delhi, Breast implant cost in India. There are many women who are suffering from small Breasts, sagging Breasts. Call: 9818369662. Are you interested in making your eyes look refreshed & youthful? Consider an Eye Lift. Dr. Wright is located just 30 minutes from Philadelphia, PA.
Facelifts can create a more youthful appearance & help renew self-confidence. Schedule an appointment with Dr. Wright to learn if a Facelift is right for you. Profile Surgery NYC - If you desire ideal facial proportions that enhance your natural beauty, Dr Edmund Kwan of NYC can help you accomplish your goals call today for consultation. Fat Injections NY - Fat injections for lost volume on the face are a wonderful alternative to dermal fillers, and provide more long-term results, learn more call now for a consultation appointment with Dr Kwan. Eyelid Ptosis Surgery NY - Surgically repair drooping eyelids, consult Dr. Edmund Kwan at his offices in New York call today for an appointment. Forehead Plastic Surgery can enhance the looks of a person without making the change very obvious. New York City Jawbone Reduction: Jaw Reduction is a highly skilled procedure of plastic surgery that, if done right, can completely transform the looks of the patient for the better. Asian Nose Surgery can make a dramatic difference to the physical appearance of Asian patients. Dr. Kwan specializes in this area. 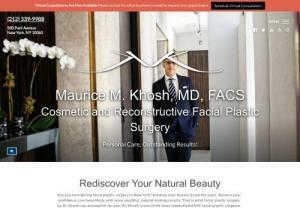 Asian Plastic Surgery NY - Dr. Kwan is a specialist in ethnic, Asian plastic surgery. Visit him in his offices in New York by a convenient appointment.